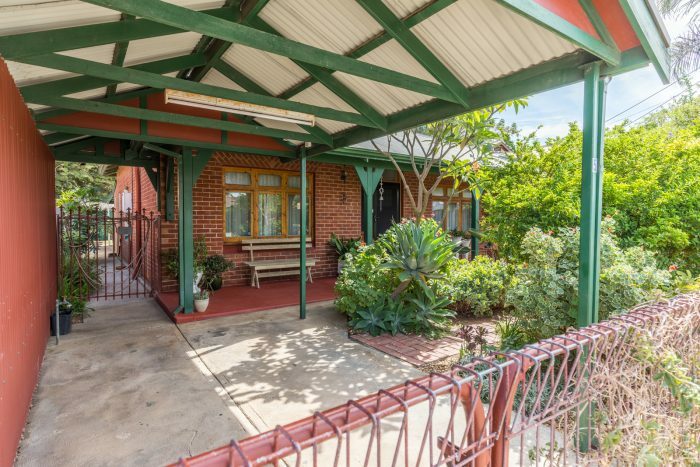 Charming, solid brick and welcoming – A feel good, homely home! A classic 4 main room layout with a central hallway, high ceilings and polished timber floors. There are two double bedrooms at the front plus a third bedroom to the rear of the home. 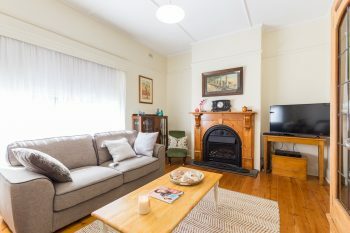 Also leading off the central hall is the living room with a cosy and warm wood burning fireplace for those chilly winter days, and the classic country style eat in kitchen featuring white tongue and groove cupboards with timber benchtops and a large stainless steel oven and cooktop. Towards the rear of the home are the bathroom, separate w.c and laundry. There is also a rear lobby, currently utilised as a study area. The whole home just oozes charm, is well presented, neat and ready to move into. The beautifully kept, ample rear garden incorporates an undercover entertaining area. Undercover parking is available at the front of the property. This is a perfect starter home or even a downsizer. It ticks a lot of boxes and will be a beautiful home for the next lucky owner. 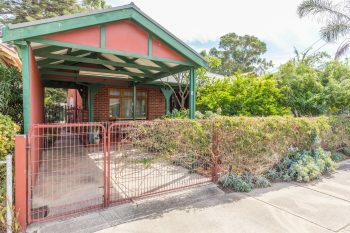 Close to Port Adelaide and the local train line into the city. Located in the Council area of Port Adelaide Enfield.